Designed for cruising, the Merry Fisher 895 is a true weekender. 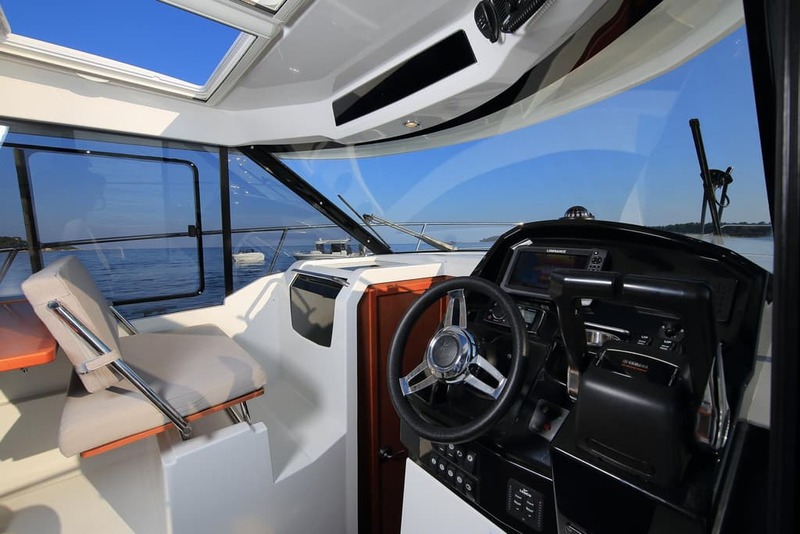 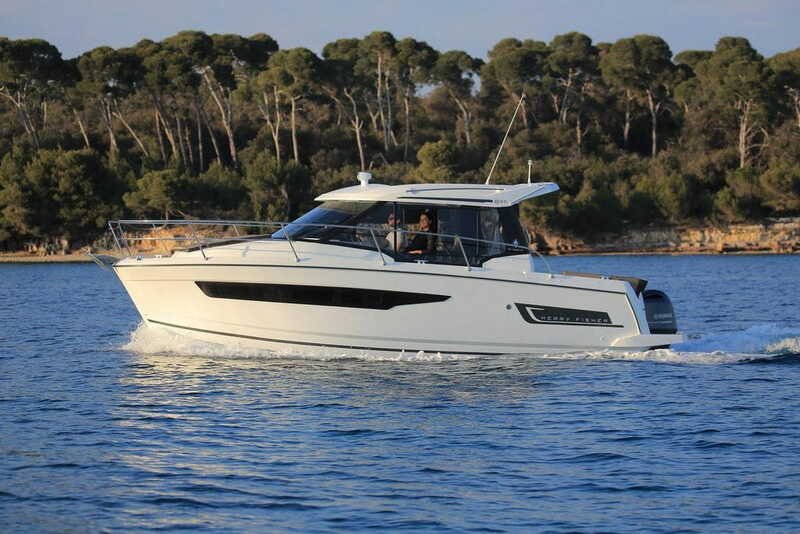 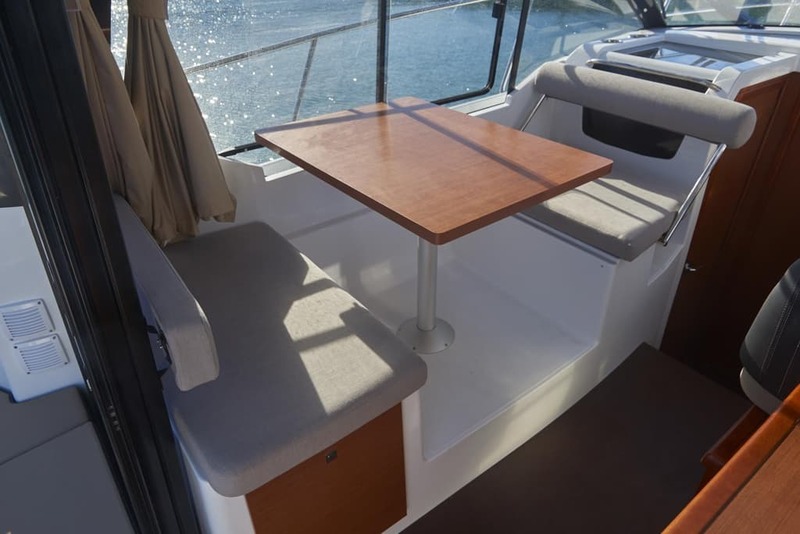 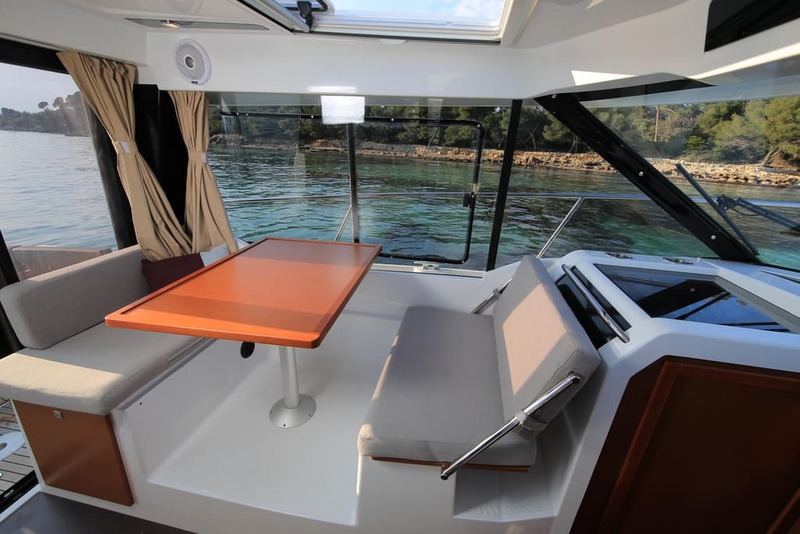 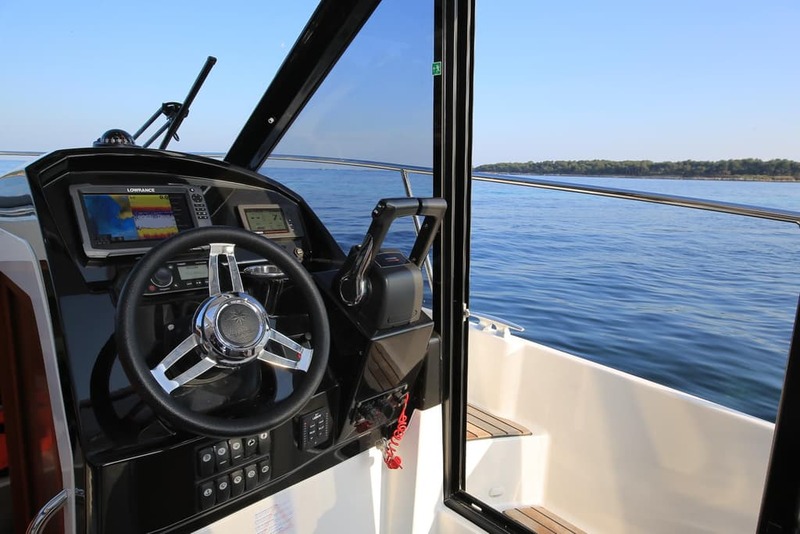 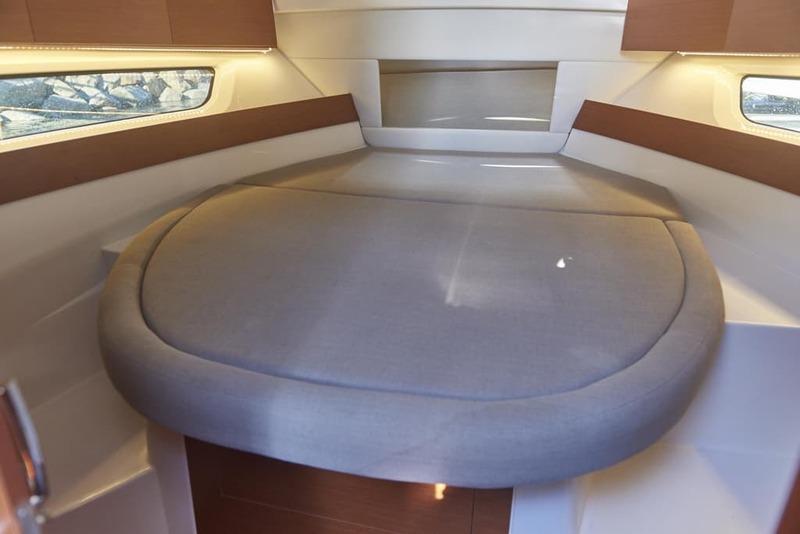 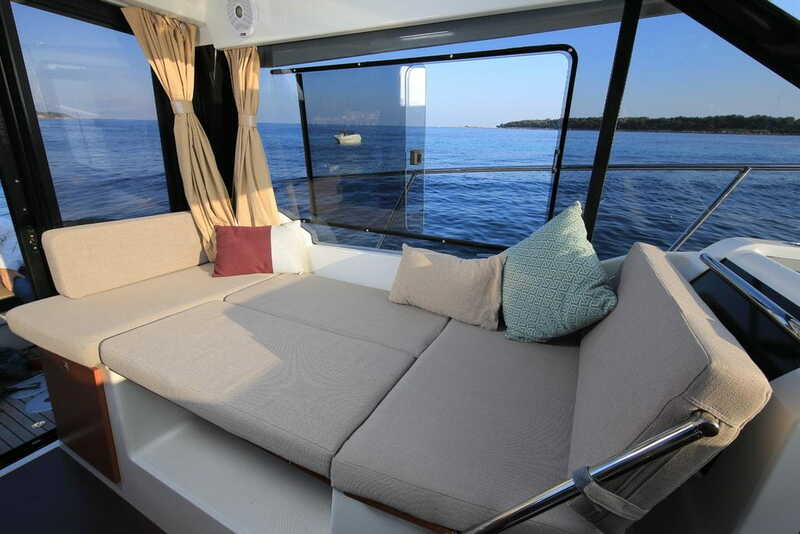 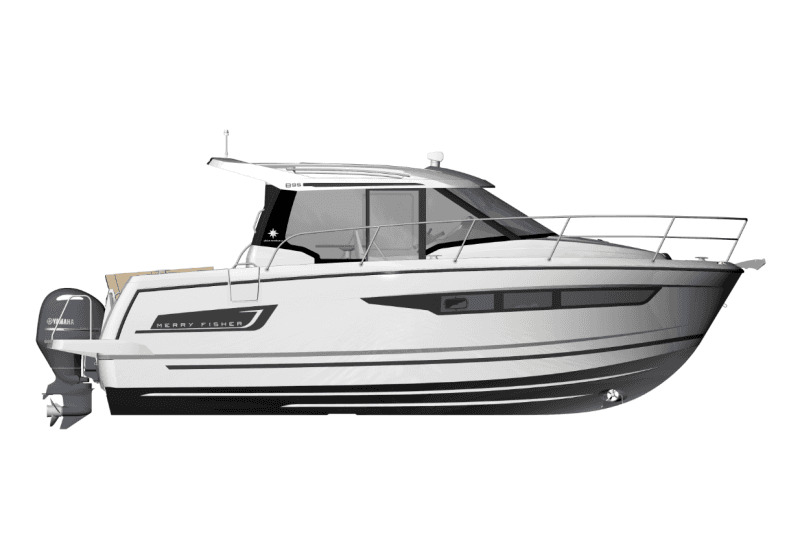 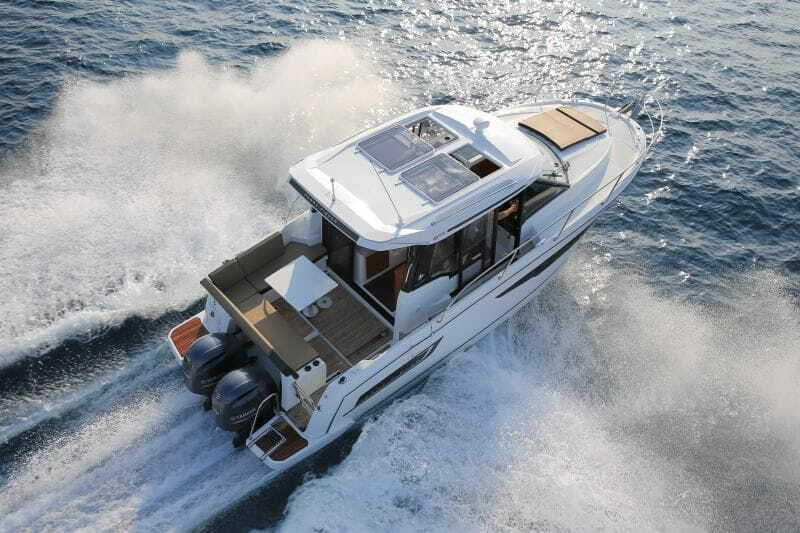 She offers an incomparably bright interior, with wide windows in the helm station and even more comfort for those special shared moments on board. 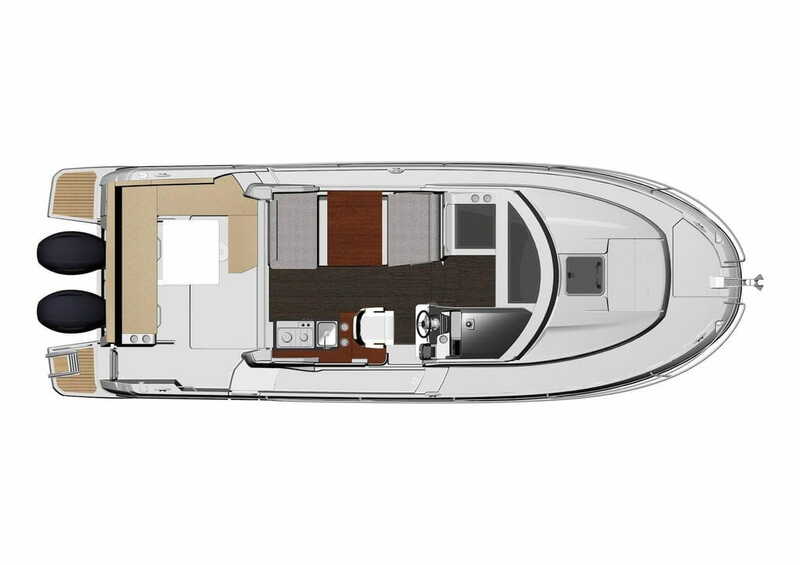 The cockpit features an L-shaped saloon, reclining seatbacks and armrests with cup holders.Both on the interior and on the exterior, the seatbacks pivot to adjust the seating to suit individual preferences. 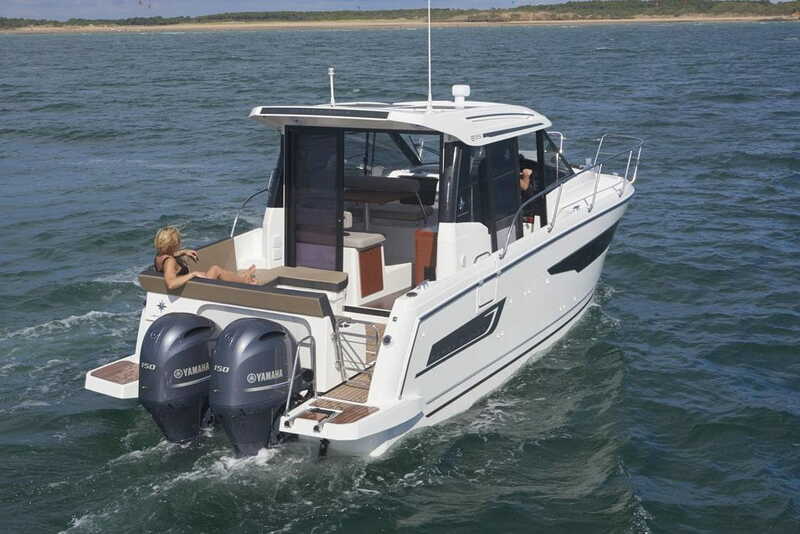 This Merry Fisher features an opening side gate, a recessed sidedeck, as well as a very generous storage capacity. 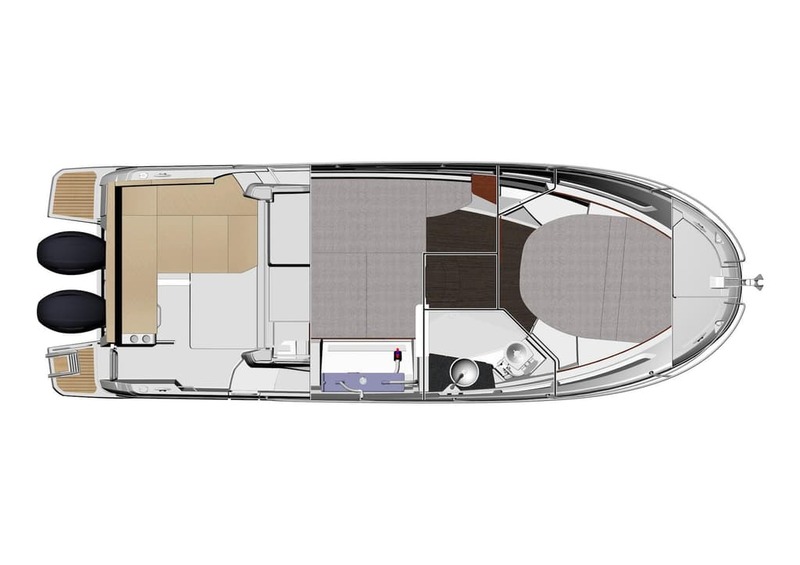 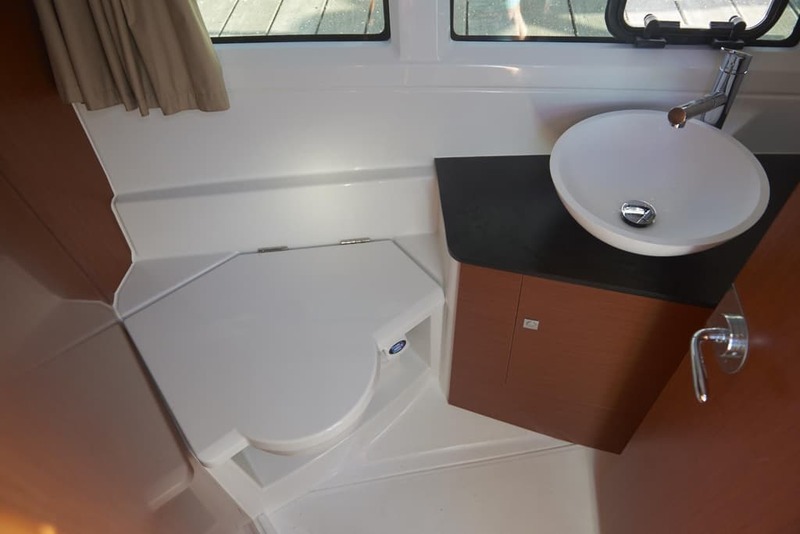 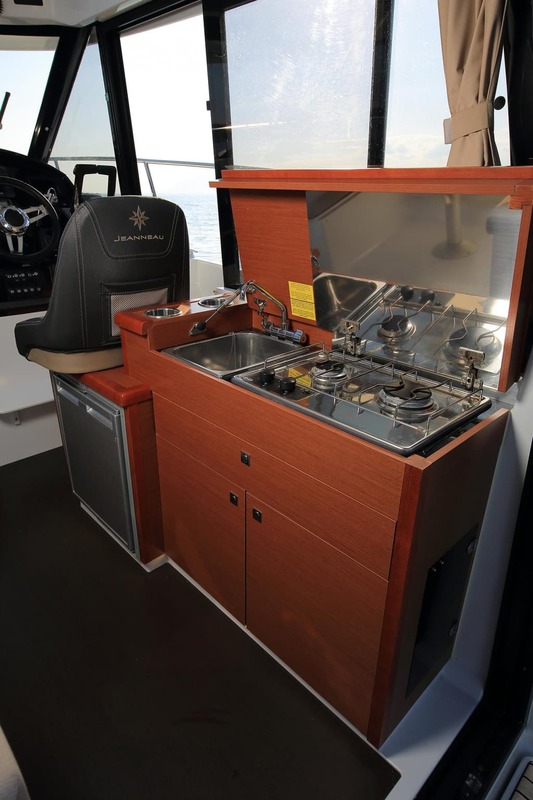 The main cabin, with wide windows, is equipped with a head with shower and marine WC. 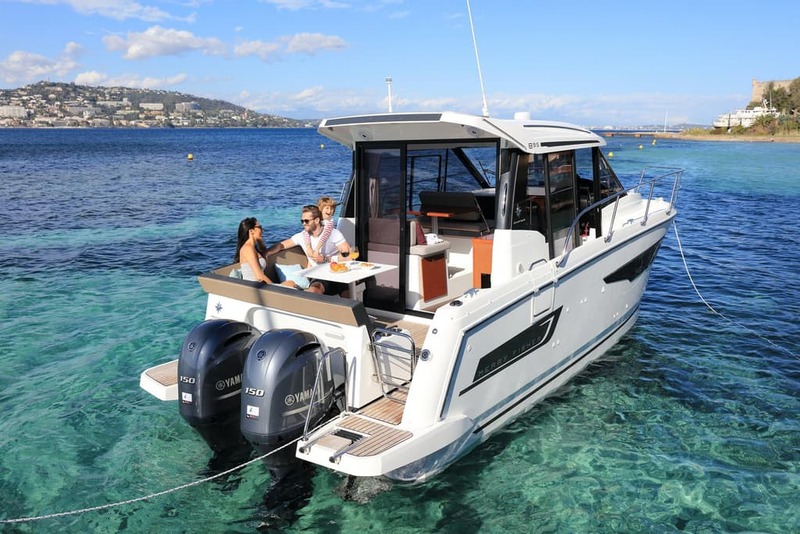 With her clever details, the Merry Fisher 895 makes unforgettable cruises possible, perfect for sharing unique moments together as a family!